The 2012 Defense Strategic Guidance (DSG), and the 2014 Quadrennial Defense Review (QDR) define “anti-access” (A2) as action intended to slow deployment of friendly forces into a theater or cause forces to operate from distances from the location of conflict than they would otherwise prefer. Area denial (AD) is defined as “action intended to impede friendly operations within areas where an adversary cannot or will not prevent access.” A2 affects movement to a theater while AD affects maneuver within a theater. 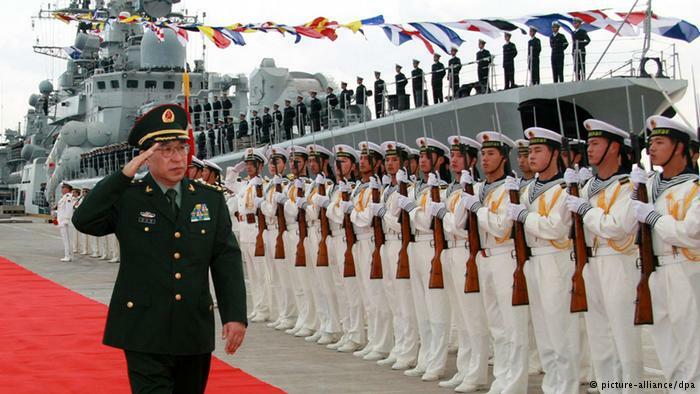 China in U.S. defense thinking is vigorously pursuing an A2/AD strategy. The U.S. operational thinking in response to A2/AD is anchored in the 2012 Joint Operational Access Concept (JOAC) and the 2014 Joint Concept for Entry Operations (JCEO). 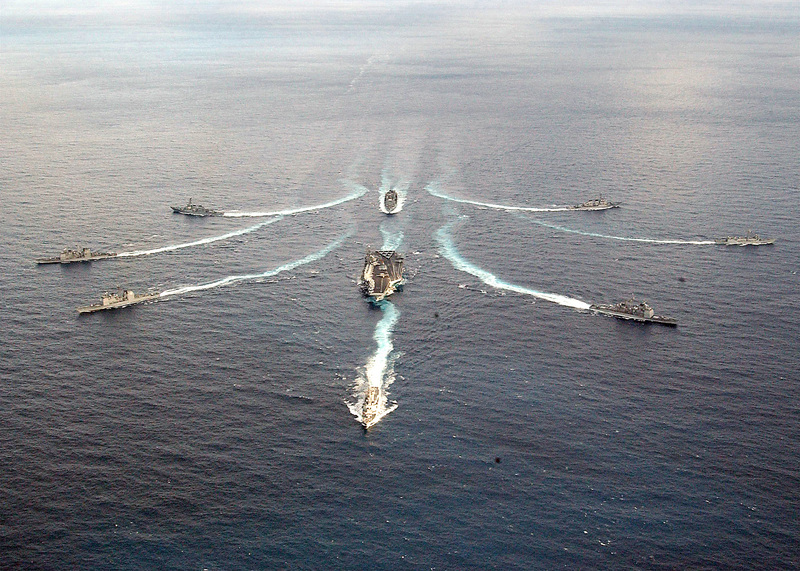 The Pentagon’s Air Sea Battle (ASB) (renamed in January 2015 as the Joint Concept for Access and Maneuver in the Global Commons, or JAM-GC) is nested in JOAC and JCEO. With this broad guidance the U.S. military will be required by the national command authority to achieve two interrelated missions:1) assured access: the unhindered national use of the global commons and select sovereign territory, waters, airspace and cyberspace, achieved by projecting all the elements of national power, and 2) operational access: the ability to project military force into an operational area with sufficient freedom of action to accomplish the mission. Applied to China the strategic goal supported by these missions is restoring assured access by degrading and defeating “counter intervention” capabilities. The problem pointed out by Fravel and Twomey is that the American belief that China’s military strategy is shaped around “counterintervention” is not grounded in empirical evidence. They do an excellent job in my opinion; their findings serve as a sobering reminder about the care that must be taken in choosing appropriate vocabulary to describe the intentions of foreign powers. They seem to conclude, however, that based on these findings the substance of China’s strategic thinking has been mischaracterized. This is where I disagree with them. My counter argument is that just because the PLA does not frame its strategy in terms of “counter intervention” does not mean that it is not pursuing it in practice. Let me start by pointing out that the two experts are right to argue that Chinese doctrinal writings coin several terms that might connote a perception of containment and the need for “counterintervention”. Some of them include: “restricting” (xiànzhì, 限制), “blocking” (fēngsuǒ 封锁) and “consuming” (xiaohao, 消耗杨). The two experts quote important Chinese doctrinal textbooks including the “Science of Military Strategy” and the “Science of Campaigns,” and identify some core PLA missions designed to respond to situations of containment. These include “blocking” (zuzhi, 阻滞), “counterattacking” (fanji, 反击), “containing” (ezhi, 遏制) and “resisting foreign military intervention” (diyu waidi junshi ganyu, 抵御 外敌军事干预). Beyond such terms, however, an overarching concept of “counter intervention” is nonexistent. That said, China is in practice fielding serious air, sea and undersea capabilities in what it calls its “near seas” (Fùjìn hǎiyù, (附近海域) and “distant seas” (yuǎn yáng, 远海). The “near seas” according to Peoples Liberation Army Navy (PLAN) strategy cover waters in the following domains: 1)The maritime areas stretching from the Kurile islands through the islands of Japan, Ryukyu, Taiwan, Philippines to Borneo; 2) The Yellow Sea, East China Sea and South China Sea; and; 3) the waters adjacent to the outer rims of the three Seas and those of the north Pacific. These areas are commonly referred to in U.S. parlance, and in Chinese writings aimed at western audiences as the “first island chain.” The “distant seas” cover cover a system of archipelagos from the East Asian continental mainland coast composed of the Bonin, Marianas and Caroline Islands through Japan’s Honshu Island to New Guinea, and the maritime space beyond this area. They are more commonly defined by U.S. analysts as the “second island chain” and cover a vast area stretching from the northwest Pacific to the east Indian Ocean. 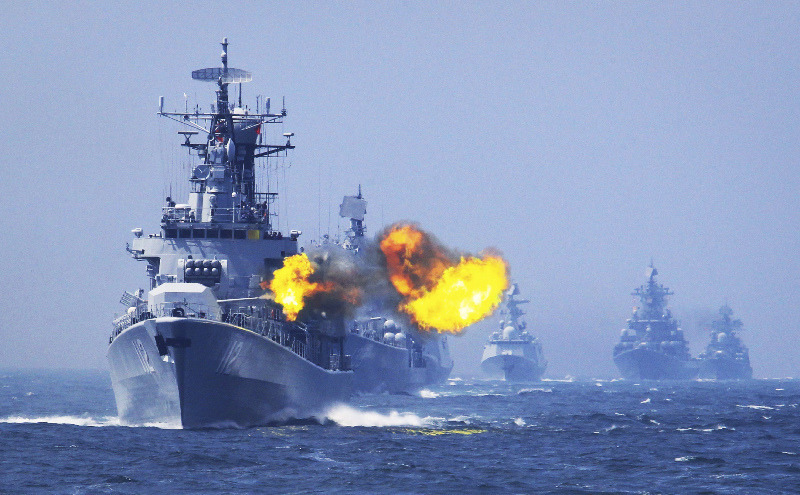 The goal of denying potential adversaries access and maneuver in the “near seas” and developing capabilities to control the “distant seas” has guided Chinese naval strategy since Deng Xiaoping’s era. Then Vice Chairman of the Chinese Communist Party’s Central Military Commission, Liu Huaqing, speaking at a 1983 meeting of the Party Committee of the Peoples Liberation Army Navy (PLAN) said “Our Navy will be a strategic service—capable of conducting independent operations within and the beyond the “first island chain” and eventually in the “three seas” (三海). 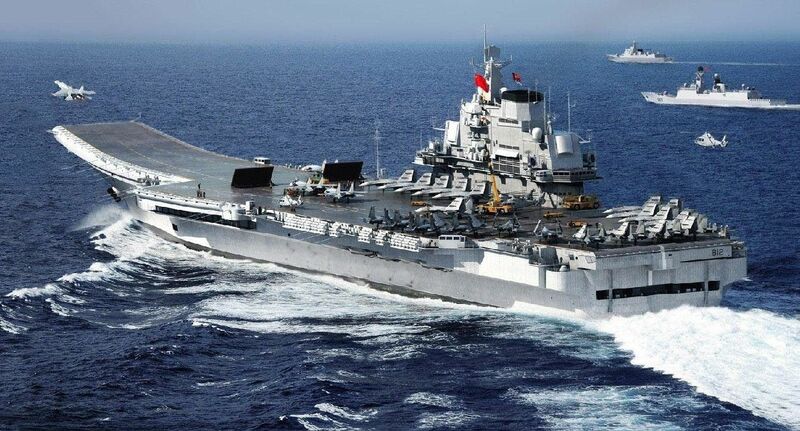 China on August 2, 2013 announced that five warships had sailed through the “first island chain” for the first time in the history of its navy. The vocabulary used by the authoritative editorial that appeared in Peoples Daily, an official media outlet of the Communist Party is instructive: “The Chinese navy has fulfilled its long held dream of breaking through the “first island chain blockade” (emphasis added). Du Wenlong, a senior researcher at the PLA Academy of Military Science (AMS) added: “The Chinese navy has demonstrated the capability to “cut” the “first island chain” into several pieces. “Now the chain is fragmented.” Such vocabulary reflects the psychological importance to the PLA of breaking out of the “near seas” a domain of vital strategic importance to China but which is also a source of many strategic vulnerabilities. Underlying these vulnerabilities is the deeply ingrained historical fear among the Chinese of naval blockades (during the Opium Wars from 1839 – 1860 China succumbed to numerous British blockades and in the 1833 Battle of Fuzhou, French forces destroyed an entire fleet of the Chinese navy). China’s perceived vulnerabilities also have some basis in the current security environment: the nation’s economic hubs (the center of gravity of China’s rapid economic growth and a crucial pillar of the legitimacy calculus of the Communist Party) are concentrated along its coast; 80 percent of its energy imports pass through the Straits of Malacca; and its most serious territorial disputes lie in the maritime domain. And then there is the all-important issue of Taiwan. China has long signaled its willingness to employ overwhelming force to prevent the dejure independence of that Island. Taiwan is seen by Chinese policymakers as the single-most important unresolved issue from the so-called “Century of Humiliation,” (bǎinián guóchǐ, 百年國恥, a period between 1839 and 1949 when China lost control over large portions of its territory at the hands of foreigners). Memories from this period inform the dominant narratives underlying the founding of the Peoples Republic of China and play a central role in the conduct of Chinese foreign policy. Within these perspectives the reunification of Taiwan with the Mainland is core objective, a survival interest which touches on concepts of dignity, independence and honor as understood by the Chinese. From a strategic standpoint China focuses on two aspects: 1) preserving overwhelming and decisive military superiority over Taiwan while at the same time displaying tactical flexibility and 2)deterring the U.S. from intervening on Taipei’s side in the event of a military contingency. The combination of maritime-based economic, security, and sovereignty interests bring us back to the logic of the “near seas,” “distant seas” strategy. The PLAN has adopted “near seas active defense” (jinhai jiji fangyu, 近 海积极防御) in the “first island chain” and “far seas operations,” (yuanhai zuozhan, 远海作战) in the second island chain and beyond. These operational doctrines and the strategic requirement to keep outside forces from deploying closer to the “near seas” have driven China’s military modernization effort over the past two decades. 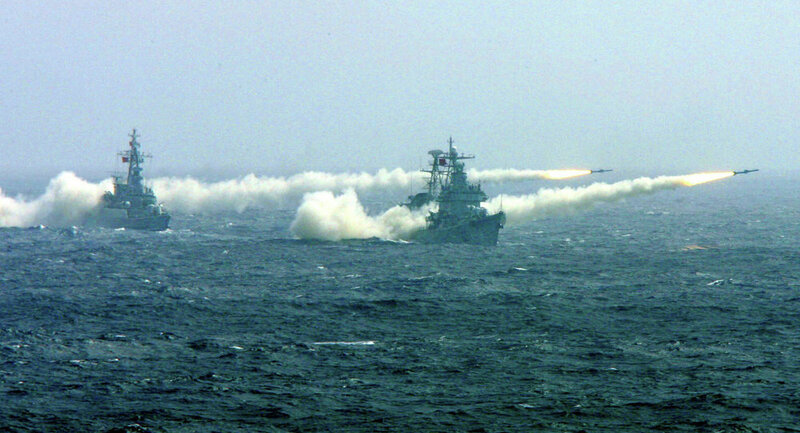 China has invested in several classes of conventional and nuclear powered submarines armed with ballistic and cruise missiles of different types and ranges, large numbers of highly accurate antiship cruise missiles (ASCMs) and land-attack cruise missiles (LACMs) on a range of ground, air, and naval platforms, and several fighter aircraft with different speeds and endurance. 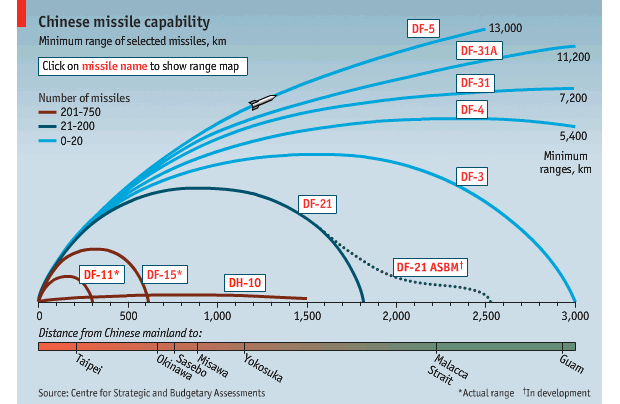 Beijing has also invested heavily in Anti Satellite (ASAT) technologies as well as cyberwarfare capabilities. In 2010 the Dong Feng 21 D, (“east-wind”) Anti Ship Ballistic Missile (ASBM) entered service with the PLA Second Artillery (China’s strategic rocket forces). The assumption by many U.S. commentators is that this weapon is designed to threaten U.S. carrier battle groups. The pace and direction of China’s military modernization is also informed by lessons from past military campaigns. This aspect of the Chinese professional military education system was made apparent to western military students in an important work, “Chinese Views on the Future of Warfare” (1998) a collaboration between the U.S. and Chinese National Defense Universities which brought authoritative writings by senior Chinese military professionals to the United States for the first time. Several authors, including Chen Zhou (then a Colonel, but now a Major General and the author of the 2015 Chinese Defense White Paper), General Li Jijun,former Vice President of the Academy of Military Science and Major General Zheng Shenxia, former President of the Air Force Command College, discuss some lessons the PLA incorporated into its military modernization from studying U.S. military campaigns in the First Gulf War. In 2007 Colonel Wang Xiangsui explained in a documentary that the PLA learned important lessons from the 1996 military stand-off with the U.S. in the Taiwan Straits (the worst military incident between the two powers since the Korean war). 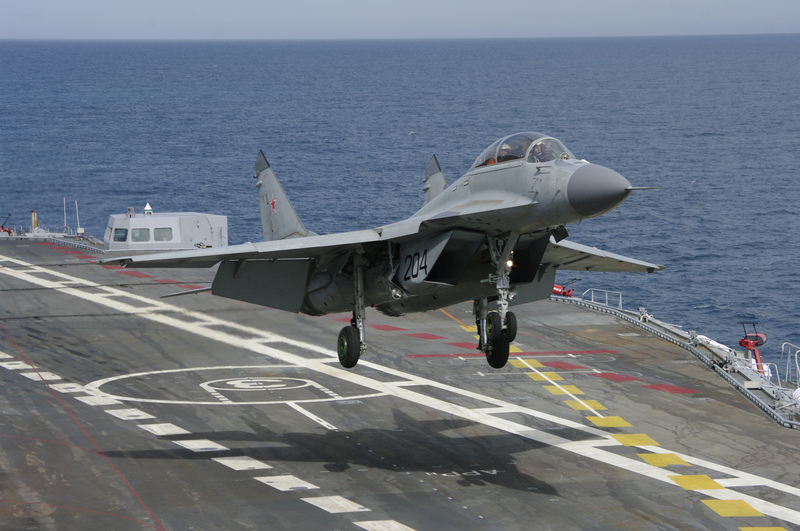 The Chinese navy in that instance was unable to prevent the U.S. from deploying two aircraft carriers into the straits. The Chinese concluded that U.S. force projection in the Western Pacific was dependent on aircraft carriers and carrier strike groups and satellites (for advanced and networked command, control, communications, computers, intelligence, reconnaissance and surveillance-C4 ISR).Accordingly China gave top priority to developing capabilities and operational solutions to threaten U.S. carrier strike groups and satellites as a strategy of deterrence rather than strive for parity. China’s security strategy is colored by these dominant narratives and by hard security threats as understood by the Chinese. The key areas of concern for military planners are China’s sea lines of communication, its string of disputed maritime areas in the South and East China Seas and the Philippine Sea; and the vitally important Taiwan Straits. These strategic issues lead the PLA to the logic of denying operational maneuver to outside powers. Such logic might not be framed as “counter intervention” in name but it is definitely “counter intervention” in substance and is aimed primarily at the U.S. and Japan which China views as its most serious and capable challengers in the Western Pacific theater of operations. Paul Nantulya specializes in U.S.national security policy and military operations in Africa and the Asia/Pacific.